Send56 – A Vison for Prayer and Missions in Africa | "My House Shall Be Called A House Of Prayer For All Nations"
The missions challenge in Africa is immense, but God is raising up thousands of native missionaries who are ready to go reach these unreached tribes. A two-year, full-time, discipleship school prepares laborers for the mission field. Once trained, they are sent to people groups they are already culturally and linguistically equipped for. We create a honorable and accountable system of financial assistance and moral support, which enables native missionaries to serve in locations among unreached people groups, that they otherwise couldn’t. Each vetted native missionary goes through a two-year school of theological training. Global unity in the church is vital for the accomplishment of the great commission. 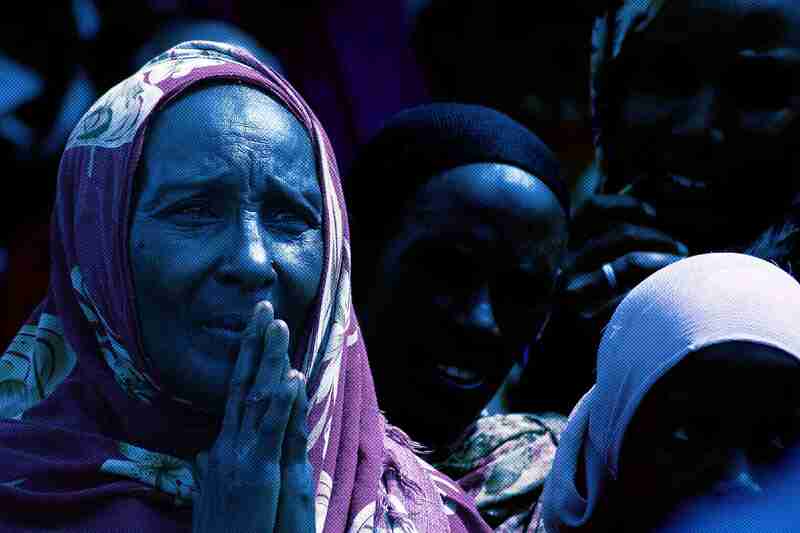 Prayer is essential to the harvest and it is the context for calling and sending laborers to the nations. Healthy accountability for both our goers (native missionaries) and senders (financial partners) is vital for the gospel to reach the ears of those who have never heard. Most of your questions will be answered here. 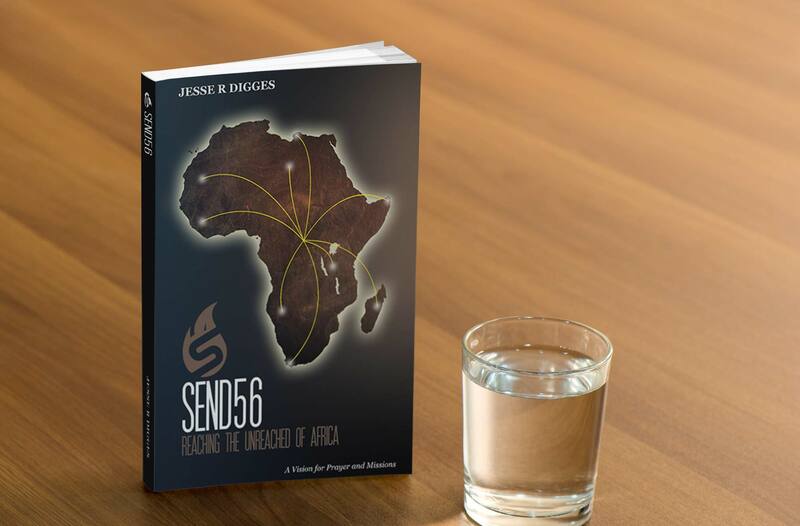 Send56 is a mission’s agency, which trains and mobilizes native African missionaries to reach the unreached tribes of Africa. The Church in Africa is very evangelical, but there are no missional structures that exist to send and assist African missionaries cross-culturally. We provide this missional structure, which involves Bible training, discipleship, research, sending, support, accountability, and communication with African missionaries. 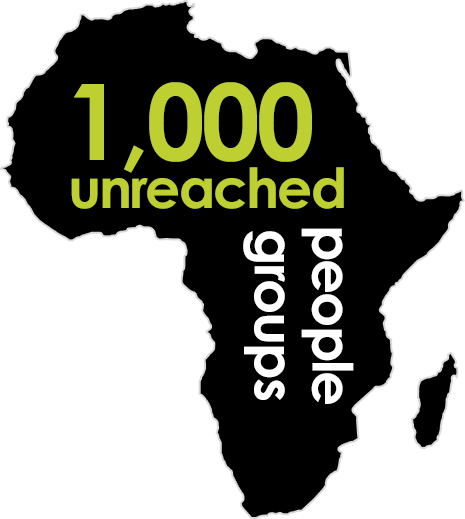 Our mission is to reach the unreached people groups on the continent of Africa with the gospel. We do this by establishing house of prayer mission bases in strategic locations in African nations, and by developing global partnerships for accountable native missionary support. Each base consist of a community prayer center, a Bible school, and a missions hub from which evangelists and church planters are trained and sent into the unreached tribes of Sub-Saharan and North Africa. What are the most important values held by Send56? First, YHWH, the God of Israel, is the God of all the nations. This is the root and foundation of the great commission. The Lord is unquestionably committed to joining a people from every tribe, tongue, and nation, to his house. “Turn to me and be saved, all the ends of the earth! For I am God, and there is no other. By myself I have sworn; from my mouth has gone out in righteousness a word that shall not return: ‘To me every knee shall bow, every tongue shall swear allegiance” (Isaiah 45:22–23). God’s plan to gather the nations to himself is through the name of Jesus, “so that at the name of Jesus every knee should bow, in heaven and on earth and under the earth, and every tongue confess that Jesus Christ is Lord, to the glory of God the Father” (Philippians 2:10–11). For this reason, bringing the gospel to the unreached and unengaged people groups of Africa is of utmost importance to us. Secondly, God’s house is a house of prayer. Prayer is both the means of fulfilling the mission and it is the end of it. The Great Commission is about gathering the nations to love and worship God through prayer. We are committed to unceasing prayer in the spirit of the Moravian mission’s movement of the 18th century, becoming a catalyst for training and sending 10,000 native missionaries to the remaining 1,000 unreached tribes of Africa. What is Send56's statement of faith? How is the ministry structured? Our International Leadership Team is ran by a board of leaders who oversee the vision and direction of the ministry, holding to the primary purpose of prayer and missions to the unreached. Each base has a local leader team which give oversight to the ministries on the base, and the missionaries sent from that location. Each missionary is sent out to the field under the oversight of their local church elders and their mission’s base. How can I get more information about Send56? Visit our contact page for phone numbers, addresses, and email addresses that can help you learn more about the ministry of Send56. I’ve read that 100% of the money I give for mission work goes directly to the field. How does Send56 raise enough money for administrative needs? Send56 administrative expenses in the USA are paid with donations given specifically to our Home Office fund or Where Most Needed fund. (The Where Most Needed fund may be used either for the field or for the home office, whichever has the immediate need.) We do not use funds designated for the mission field for any other purposes because of our commitment to the Lord and our commitment to financial integrity. How are Send56 home team staff supported? When an individual or a family joins staff, they commit to raising their own financial support to cover their salary and insurance needs. Every person on staff develops and maintains their own partnership team, made up of people and churches who willingly give of their resources to see the work of God accomplished through Send56. What is Send56’s fundraising policy? We primarily believe that God is the Lord of the Harvest and the one who owns all the silver and gold, the fullness of the earth and everything in it. Therefore, we do not use manipulation or guilt in our communications to create results. Instead, we pray and trust the Lord that He will stir the hearts of His people to steward their wealth toward helping us reach the unreached of Africa. In addition we also, sell merchandise, speak at conferences, churches and home groups, etc. What is the structure of financial accountability on the mission field? Financial accountability and integrity is of upmost importance at Send56. The leader team on the field and then the International Leadership Team approve all budgets. All monies spent are recorded and signed with physical receipts, and kept for auditing purposes. How does my monthly support get to my missionary? Does my missionary directly get the monthly amount I send to support him or her? Every month you send in your monthly support, we carefully log your donation to your account. Once a month, the main administrative office in East Africa, withdrawals the approved monthly budget out of the account, along with your monthly support for your missionary. The administrative office in East Africa then sends your support to your missionary. What happens if I am unable to send money to my missionary? Will they still receive funds that month? Through the gifts of individuals who give into our General Fund, we continue to send support for each missionary on the field. Since we are supporting the work of the churches in Africa, how does Send56 keep those receiving support from becoming dependent on the incoming funds? For our strategy to work, we have had to put a high priority on creating interdependence between nationals and westerners when it comes to funds and be intentional about not creating co-dependency. Send56 has developed a few key ways to combat co-dependency through transnational giving. We support native missionaries to unreached peoples specifically. We do not fund pastors who are already pastoring people in areas that have been reached. In order to qualify for missionary support, the worker must be going into an area where there are very few or no churches. The missionary must have completed training in Biblical studies and character development. Though all character failings cannot be avoided, in the intense discipleship environment, our experience is that someone with false motivations or poor character will be found out before they complete their course. Money is given in a way that empowers, not controls. Our philosophy is to give our missionaries monthly support for their cost of living on the field. Each missionary is trained with a tent-making skill, and encouraged to work in order to supplement their costs in the field. This creates not only an income for the missionary to support himself, with the goal of coming off of international support, but is also a dynamic ministry opportunity in his or her community, especially in a place where an evangelist or Christian pastor would not be welcomed. How is the amount for a missionary’s support decided? The missionaries and the leaders on the field assess each field. The monthly support depends on the cost of living in a given area and the circumstances of the missionary on the field. What does the monthly support for a missionary provide? Monthly support for a missionary provides for housing rent, food, travel costs to and from the field, as well as visa and work permit costs, and emergency help. What are the qualifications of the national missionaries Send56 supports? In order to qualify for missionary support, the worker must be going into an area where there are very few or no churches. The missionary must have completed 2 years of training in our Mission and Prayer School. The missionary must remain in communication with mission’s hub and send regular reports of health, safety, progress and needs. To whom are national missionaries accountable? Missionaries are accountable to their local church leaders who have sent them out and to the Send56 mission’s base who oversee them. Missionaries are required to give monthly reports of their work on the field, and receive visits from the mission’s base staff. The missionary department of each base also works hard to ensure that missionaries sent out are pastored, held accountable, and cared for. How are national missionaries trained? Each missionary goes through the school of Missions and Prayer. It is a two-year discipleship program, which combines bible teaching, cross-cultural missions training, and character development. Student missionaries live and study together full-time in an intense environment of community and training. They wake up early in the morning and engage in personal Bible study. They have classes throughout the week, on theology, church planting, and Islamics. They engage in corporate prayer daily, and have personal hours set aside for personal prayer in the 24/7 prayer room, which is part of each mission’s base. They regularly serve orphans, and every weekend they travel to different villages and preach the gospel. They learn the power of forgiving one another, walking in humility, and working together toward a common goal in our communal environment. Each week, the whole community gathers for the communion meal. They worship, meditate on Christ’s gift and fellowship together. Students learn various strategies for outreach and Islamic evangelism. They learn to interact with Muslims by understanding their worldview and the Quran, their holy book. 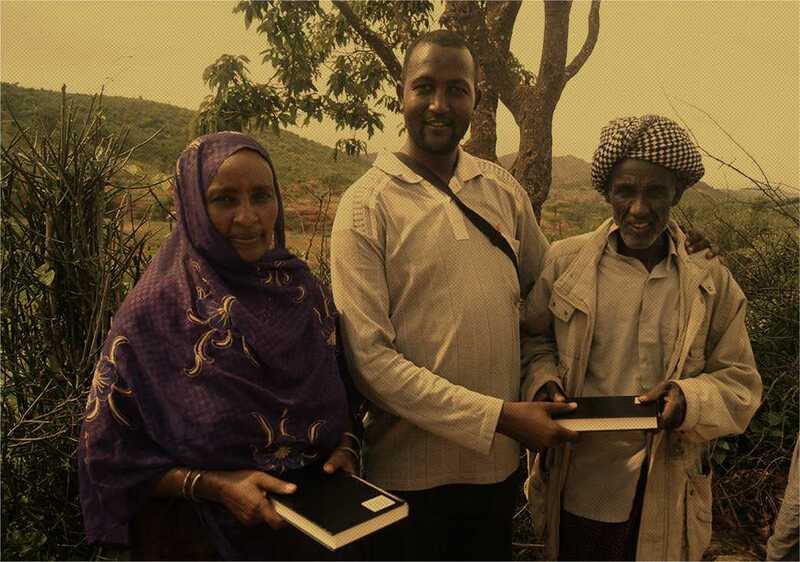 This training enables them to bridge Muslims to the Bible through stories from which are in both the Quran and the Bible, as well as to engage in polemics by understanding how the Quran contradicts the Bible. Finally, they are taught to remove barriers of belief in the minds of Muslims through apologetic preparation, enabling them to answer questions Muslims have about the Christian faith. What methods do national missionaries use to reach people for Christ? Missionaries reach people through various means. Some of the ways include, but are not limited to, using Gospel literature, showing the Jesus film, door-to-door evangelism, open-air crusades, house churches, prayer gatherings, and living a personal lifestyle of evangelism and prayer. How can I help sponsor a national missionary? To help sponsor a national missionary online, visit our sponsorship page. You can also call our office at 706-901-SEND (7363). Sponsorship donations can be made monthly or annually by checks, credit card charges or electronic transfers from a bank account. You will receive a picture and testimony of the national missionary you are helping along with periodic updates from the region where your missionary serves.